A few days ago, I saw a meme pop up on my Facebook feed listing a bunch of empowering adjectives to use for girls to replace the words "princess" or "beautiful." I admit I might be a little bias as the proud owner of a princess blog, but when I saw this, I couldn't help but think to myself "Those two things are not mutually exclusive!" In recent years, there has been a huge surge of princess-related content in the media that has not only changed what it means to be a princess but has also created an entire culture around it. Just like with all movements, princess culture enthusiasts were quickly met with a large opposition who focus heavily on the negative aspects of what it means to be a princess. 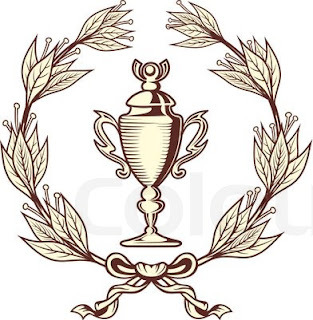 As a result, we end up with books like Cinderella Ate My Daughter by Peggy Orenstein, which claim that princesses may prevent girls from living up to their full potential. "The Princess Protector" Once upon a time, there was a frail princess whose kingdom was being invaded by a band of wicked goblins who wanted to take control of the throne. The queen and king did not want to risk losing their kingdom, so they had their royal sorcerer concoct a supply of magic dust that would instantly teleport the goblins outside the kingdom. However, the dust took a long time to make, so the two monarchs kept what little of it they had to themselves in case of an emergency. Worried for the safety of their only daughter, they had the princess locked away in a high tower where the goblins could not reach her. 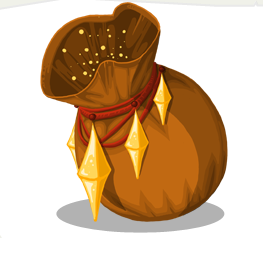 They entrusted her with a small pouch of the dust on the off chance that the goblins might found a way in. 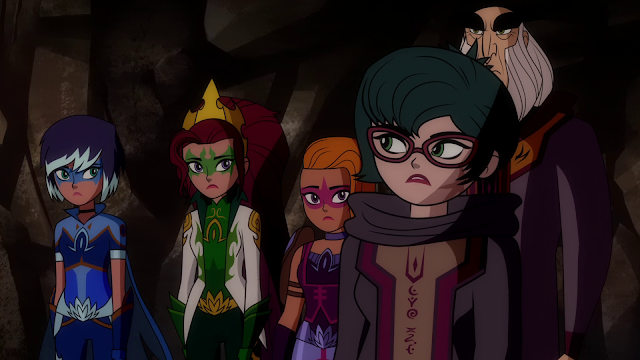 The action-packed girl-power Nickelodeon cartoon, Mysticons, just had a plot-shattering reveal in their latest episode. Before you begin reading, please be aware that this thread contains major spoilers for the episodes "Three Mysticons and a Baby" and "Star-Crossed Sisters." If you don't want the episodes spoiled, feel free to watch them on Nickelodeon's website and come back after you've finished. I was surprised to learn that the series did not have much of a break between seasons one and two. Instead, they decided to kick off the second season in a big way. Are you ready for it? It turns out that Princess Arkayna is not the only daughter of Queen Goodfey. Years before the show began, Nova Terron, the authoritarian leader of the astromancers, separated Arkayna from her (fraternal) twin sister at birth in order to prevent a dangerous prophecy from coming true. 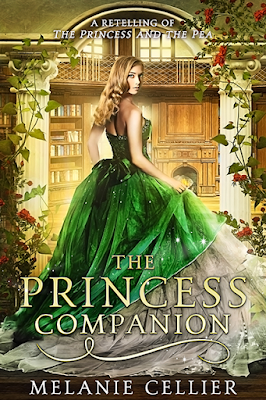 "The Princess Contest" Once upon a time, Jacob and Elnora were two young people in love. There was only one thing preventing them from living in perfect bliss. Jacob's parents, the king and queen, were determined to grow their kingdom. To do that, he would need to marry a princess. Elnora was not a princess. Though that meant she could never meet Jacob's parents, their minor differences were still not enough to keep them apart. They would regularly sneak off to a small glen that was accessible through a secret passage just outside the palace to play hide and seek and discuss whether or not they could have future together. To avoid suspicion, Elnora would wait until every craft she had made for her family was sold at the market, and Jacob would wait until after he finished his lessons in royal protocol for the day. Would these two star-crossed lovers ever find happiness together? Many times, when people see my room, they ask me for decorating advice. I usually don't have anything useful to tell them. Knowing how to decorate might just come naturally to modern princesses. We have a strong sense of style and aesthetics, buy whatever looks nice, and find a good spot to put it. Princess fans also rarely throw anything away because there's a high probability we will still love all the same movies we did as children. Many of us have huge collections of merchandise that we have been building for years for years. I've gotten so many compliments on the way I set up my room the years that it's only fair for me to try to give a few tips and tricks for people who are struggling to make their rooms look as perfectly princess as possible. 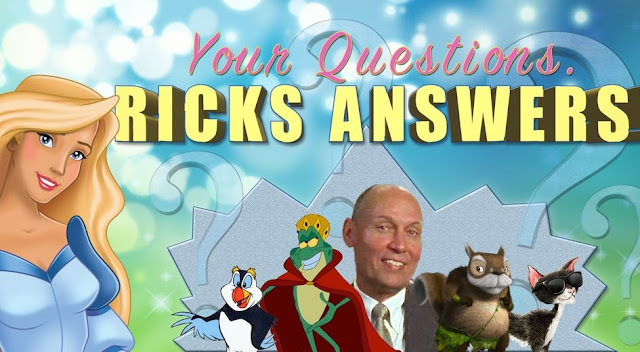 My friends from The Jewel Riders Archive recently brought my attention to an online interview in which The Swan Princess director Richard Rich answered several fan questions. His responses were quite lucrative. I learned many things I didn't know, including his brief stint at Disney in the '80s, the story behind the many recent sequels, and his response to voice actress Michelle Nicastro's death. While you could click the link and read the full transcript for yourself (which I also recommend), I also wanted to share my thoughts on some of the most interesting highlights. 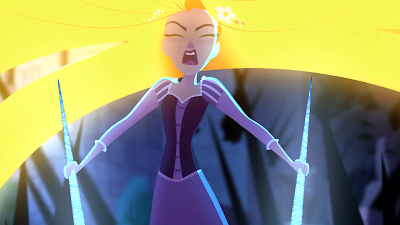 Yesterday was the long-awaited season finale of Tangled with a two-part episode called Secret of the Sun Drop. After 22 episodes, the season has finally come to a close. The hour-long special was a terrific payoff for a fairly inconsistent season. It was everything the previous Queen for a Day special was building up to. At last, learn the truth behind those mysterious rocks from the first episode and the connection they have to Rapunzel's magical hair. Varian's story, which has been foreshadowed since the previous special, also comes to fruition here, though I hope that this isn't the last we see of him. The season finale boasts two fantastic new songs, one of which I would love to see become the new theme song, as the current one could use some improvement. It also builds the groundwork for the second season, showing us that Rapunzel's story is far from over. 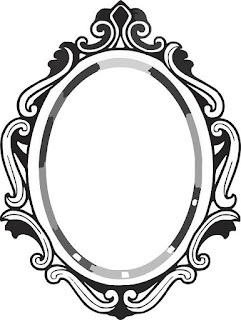 "The Mirror" Once upon a time, there was an ordinary girl in high school named Alexis who was very unhappy with her life. She felt as if she would never amount to anything and that nobody wanted to be friends with her. The other kids she went to school with liked to throw wads of paper in her thick frizzy hair and tripped her in the hallways. Every day, she wished that her life could be different, dreaming of the words that she read about in books and saw in movies. If she could be like the princesses she read about in fairy tales and go on real adventures, then she would be truly happy. Happy New Year, princess fans! I took a brief hiatus from Story Saturday over the holidays, but I'm back with more princess updates for you. Did you do anything exciting to celebrate the new year? I attended a dinner show at Medieval Times last night. It was a great way to ring in 2018. Last New Year's Eve, I went to Pirate's Dinner Adventure. While both shows have a princess in them and are set up very similarly, I believe that the Pirate's Dinner Adventure has more to offer to princess fans and in general. Both dinner experiences assign your party a color that determines which section of the room you will be sitting in and which knight or pirate you will be cheering for. Over the course of the show, wait staff in era-appropriate costumes serve food and drink while attempting not to interrupt your enjoyment of the main event.